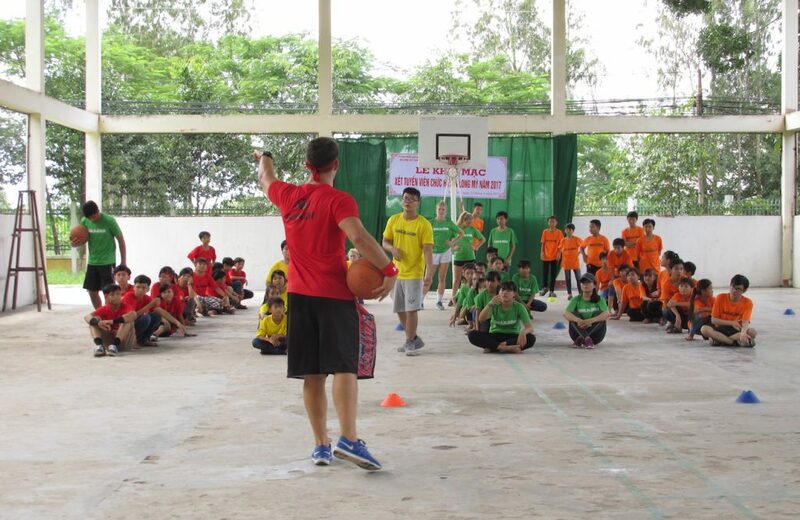 Teaching academics, sports, and life skills at a summer camp to middle school youth in rural Vietnam, with a focus on mentorship and promoting higher education. This program is organized by Coach for College (CFC) and Peacework. 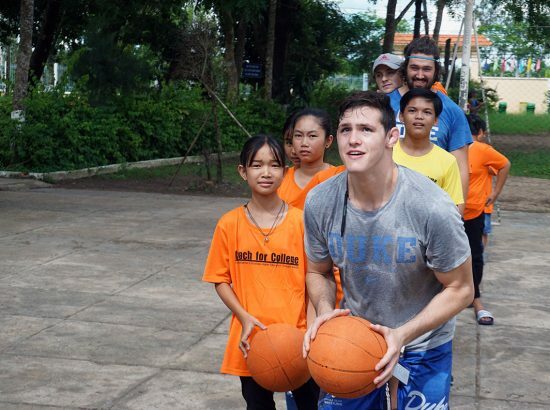 Seth is a Duke alum who greatly enjoys diving into and learning from other cultures, as well as exploring ways to make a positive difference in the lives of those around us, whatever context we find ourselves in life. 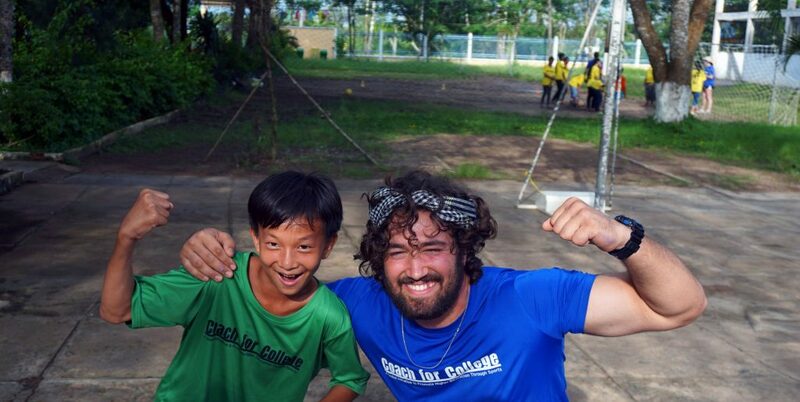 Seth has led CFC camps in Vietnam for the past six summers. 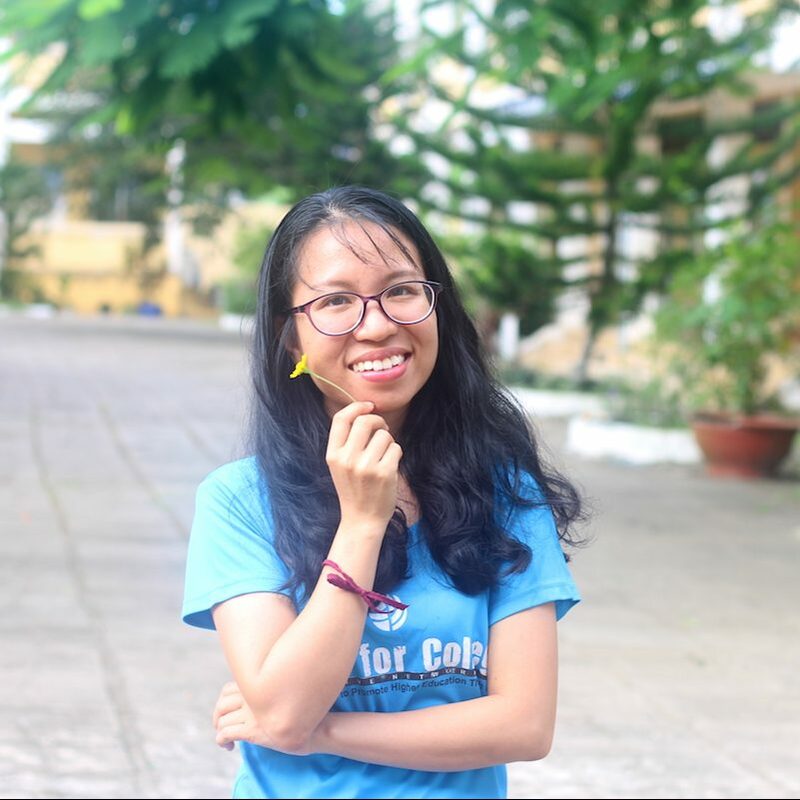 Nguyên has worked for many years with education focused non-profits in Vietnam. 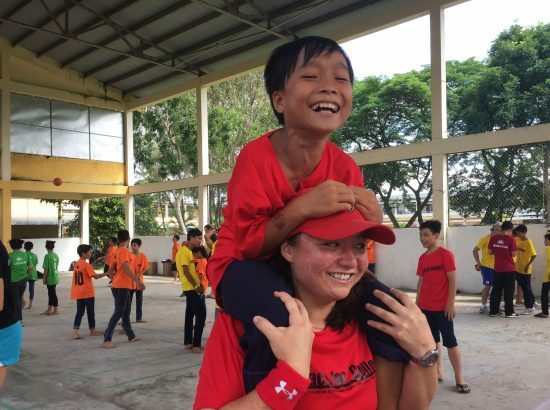 She has coordinated and led CFC camps for the past 4 summers in the Mekong Delta region, living and working closely with the American and Vietnamese program participants. Participants will live and work with Vietnamese college students who are also participating in the program as first-time volunteers. Together, they will teach academic subjects, coach sports, and lead life skills sessions at a summer day camp organized by Coach for College at a local middle school. Participants will teach Monday through Thursday during the day, and review the next day’s lesson plans in the evening. Each Friday is competition day, when the teams of kids take tests on what they learned in academics and life skills, and compete in the various sports. Compared to urban areas, rural communities in Vietnam have fewer educational resources and opportunities for students, and there is a higher dropout rate. The classes taught in camp focus on material the students will encounter in the upcoming school year, giving them a head start and higher probability of success when school begins. The classes are taught in an engaging and interactive way, in order to help the kids discover that learning can be fun. The hands-on life skills sessions emphasize topics such as dreams, goal-setting, how to break an ambitious goal down into achievable steps, and the value of education, perseverance, teamwork, sportsmanship, and leadership. 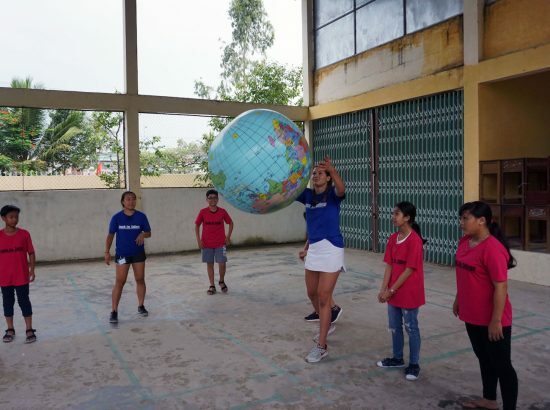 Leading by example, the American and Vietnamese college students strive during the camp to imbue campers with the confidence to stay in school and pursue ambitious life goals. 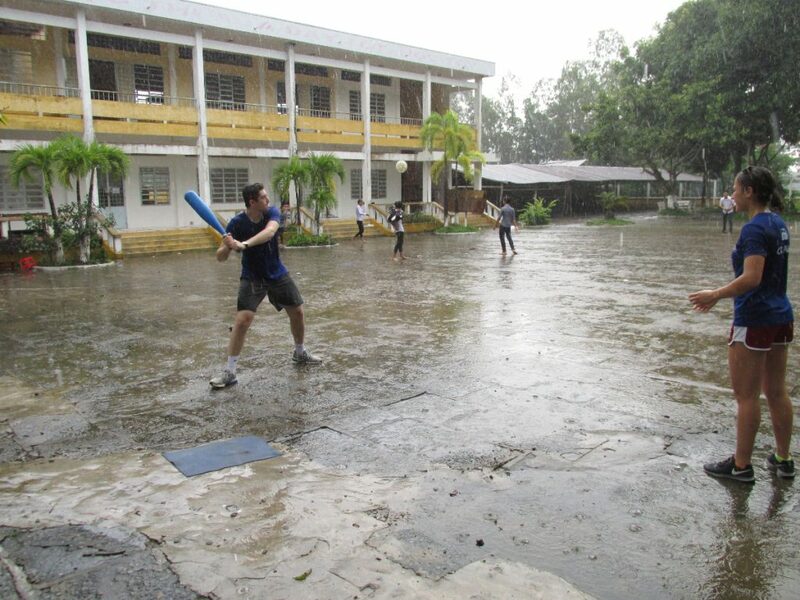 Coach for College has been working with schools in the local province for eleven years. 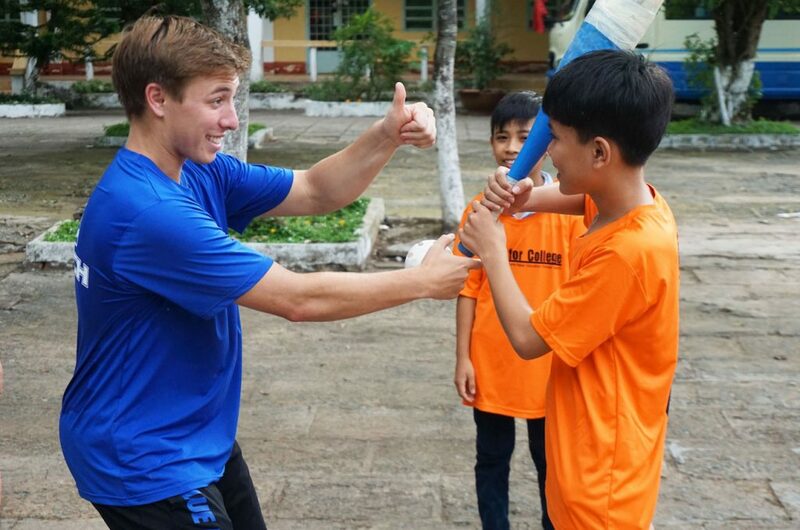 Over 500 Vietnamese college students have volunteered alongside American student-athletes. 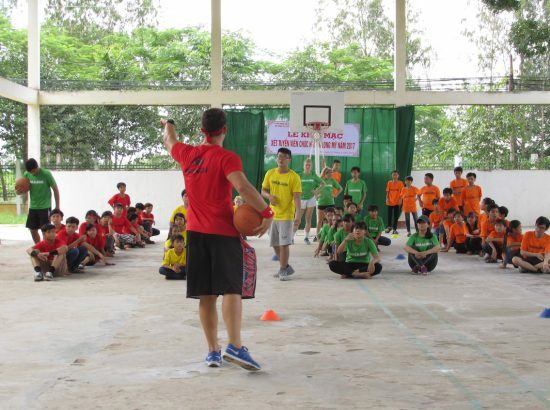 Coach for College’s Vietnamese staff is largely made up of past participants who continue to have a strong desire to remain involved in the initiative’s mission to impact local youth and engage in meaningful cross-cultural exchange with the participants from the United States. All ACE participants will teach in the same camp, run by Coach for College at local school facilities during the children’s summer vacation. 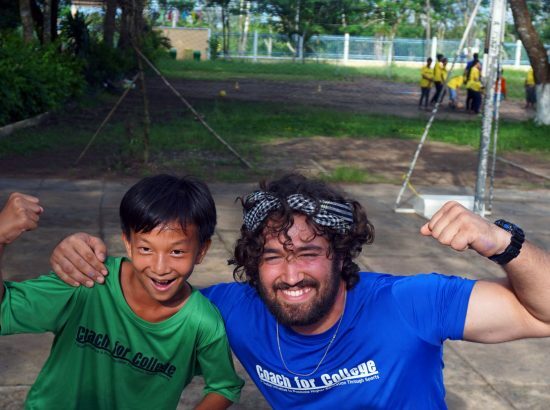 Each participant will teach one academic subject and one sport to all the kids in camp. They will also teach life skills to one team of kids, which they will be mentoring more closely. Thus each participant will be part of three different teaching teams, each made up of two Americans and two Vietnamese college students. Participants teach and coach for four hours in the morning and four hours in the afternoon, Monday through Thursday. On Friday they lead and facilitate competitions and tests for the children. 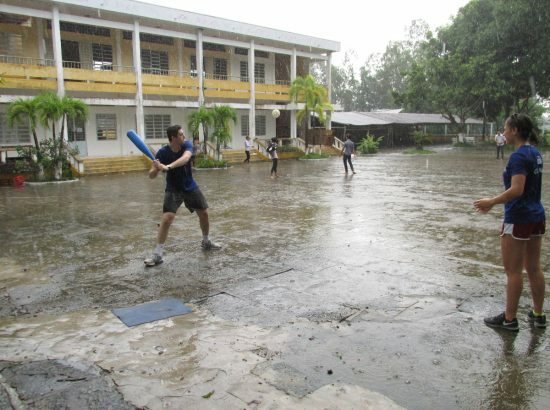 Activities alternate every 50 minute period between the classroom and the sports areas outside. When applying, student-athletes provide information on their background and ability to teach different sports and subjects. The selected participants will be assigned to specific sports and subjects based on their strengths and preferences. None required. The Vietnamese university students have a good level of English, and in addition to co-teaching the kids, also assist in interpreting for the ACE participants and the students, throughout the camp. Previous experience in teaching or coaching is useful, but is by no means required or prioritized, as part of the program’s goals is the university students’ own growth and development. The lesson plans are for a middle school level, so they cover material that most college students already know. Participants will be teaching from curriculum developed by CFC, but will be given the opportunity to adjust it based on the needs of their students. Sports are also taught for beginners. A certain level of competence and experience in one of the camp sports is ideal in order to be able to teach the fundamentals, however each participant will be paired with another student-athlete, so both need not have an extensive background in the sport. Subjects taught are Math, Biology, Physics, and English (as a second language). Sports may include Basketball, Soccer, Volleyball, Baseball, Dance and/or Ultimate Frisbee. Rather than background or experience, a positive and flexible mindset is the best predictor of success. 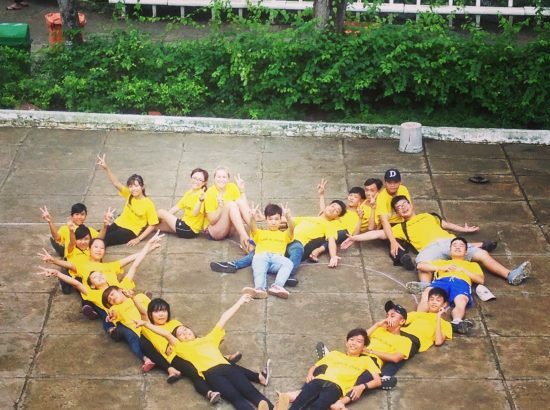 Those who have a true desire to work hard to benefit the kids, enjoy the idea of becoming friends with Vietnamese college students, and dive into the experience of being immersed in Vietnam in all its aspects are those who enjoy the experience more fully, while both contributing and gaining the most. Positive attitude – Participants will be in a very new environment and follow an intense, full schedule. Those who face the differences in local life and culture, as well as the inevitable challenges with an upbeat outlook, invariably gain much more from the experience, while contributing more effectively. Flexibility – When in a developing country, many aspects of life and work are different than in the United States, while things do not always go according to plan. Viewing the unexpected or at times uncomfortable aspects as a positive part of the learning experience is very helpful. Adaptability is also key when interacting with the children and discovering the most effective ways to teach and mentor. Dedication – The program’s days are full and while fun, teaching and coaching do require a lot of energy. Inevitably, as part of a typical cycle of cultural adaptation, participants often feel fatigued at some point in the program. Having a high internal dedication to the kids and being a role model at all times, as well as to keeping the quality of teaching high throughout, is very important, and helps participants push through the periods of fatigue to excel. 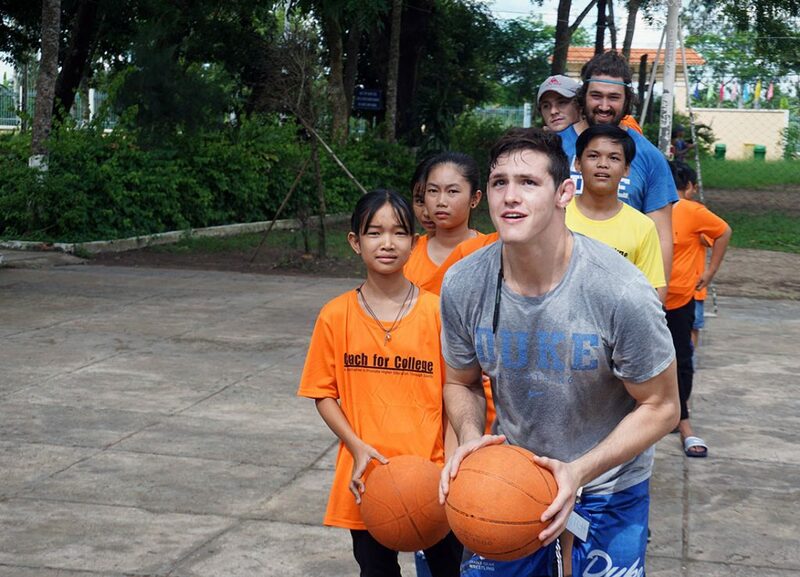 Work well on a team – All lessons are co-taught in teams with other American and Vietnamese university students. 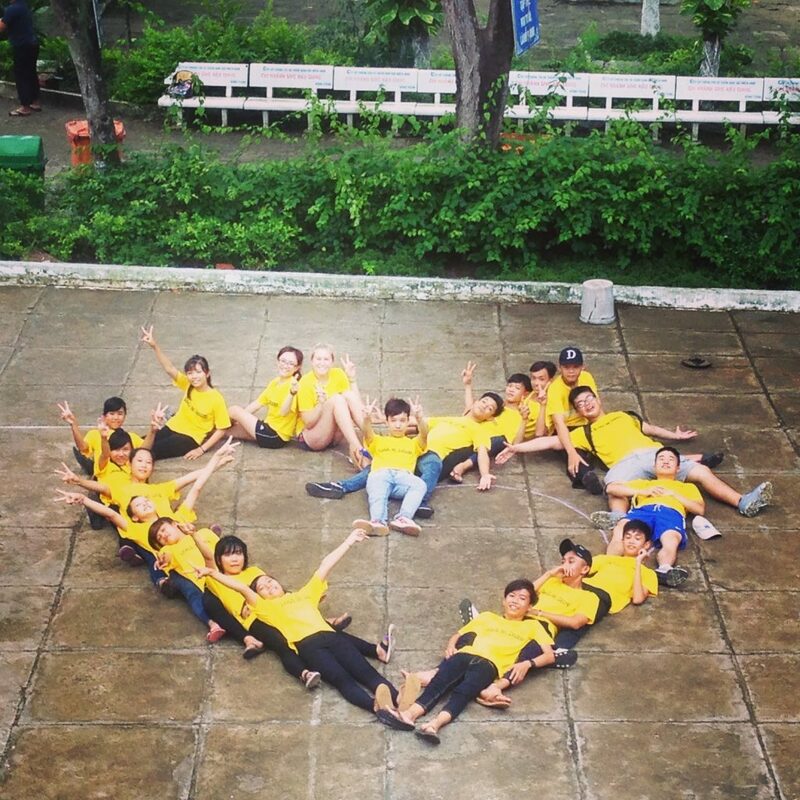 Participants spend most of their time together throughout the period in Vietnam. Forming positive relationships and working well together contributes significantly to the effectiveness of the teaching and to the participant’s enjoyment of the program. The Mekong Delta is a fascinating rural area, crisscrossed everywhere by canals upon which many aspects of life take place. Most children’s families are farmers, and the region produces a large percentage of the country’s rice and fruit. Participants stay at a guesthouse in a small, bustling market town a few kilometers from the school, passing fields on their way to teach. The countryside is flat and green, with frequent rain showers. The weather is usually hot and humid. The region is fertile, and producing enough for basic necessities has usually not been difficult here; Vietnam is developing fast, particularly in urban areas. As work in the countryside decreases due to advances in mechanization, many young people will migrate to the cities. Education is a key to success, yet rural youth are at a disadvantage with lower quality schooling and fewer opportunities for development. Dropout rates are also high in the countryside, particularly in middle school, the age the camp focuses on. All ACE participants, Vietnamese college students, and Coach for College staff stay at a local guesthouse, in double or triple rooms. ACE participants will each have his/her own bed. While there may be occasional power outages, access to electricity is widespread in Vietnam, including our lodging. Each room has its own bathroom. While hot water is not available, there is running water in the sink and shower, which will be at room temperature – cool in the mornings, lukewarm in the day. The toilets at the guesthouse are western style. The guesthouse is a small family owned facility in which the family also lives. Coach for College occupies most, if not all, the rooms. Laundry is usually done by hand in basins, and the Vietnamese participants enjoy teaching the Americans how to do it. All three daily meals will be prepared by the family that runs the guesthouse and eaten together in the common space. Meals will be authentic, local Vietnamese food, prepared with fresh ingredients from the nearby market. Participants rapidly become proficient with chopsticks, no matter their past experience. Most meals have a base of white rice. Several shared dishes with vegetables and meat/fish will be prepared for each meal, to mix with the rice. Seafood is common in the Vietnamese diet. The variety of tasty, tropical fruit is a highlight. Most allergies and special diets can be accommodated, though this should be discussed with program staff well in advance of arrival. If you have any specific concerns, please contact the ACE office to discuss whether or not your dietary needs can be reasonably accommodated at this program site. 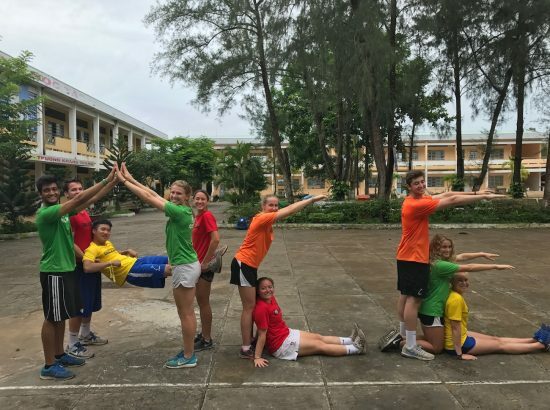 Detailed packing recommendations will be given closer to departure, however participants are encouraged to bring some type of protein supplements, as the Vietnamese diet contains a lower amount of protein than some student-athletes are accustomed to. The guesthouse will have Wi-Fi, so participants will be able to stay in touch with home when they return in the evening. Participants should be prepared for slower connection speeds than in the United States. It slows down greatly when many are connected, making voice and video functions particularly challenging at times of the day when many wish to use them. Past participants have found the weekends to be a good time to catch up with family and friends since the weekday schedule is very full and often the Wi-Fi is stronger at the weekend accommodations. Though it is relatively simple to stay in touch with friends and family, the program encourages minimizing the time spent on electronic devices. 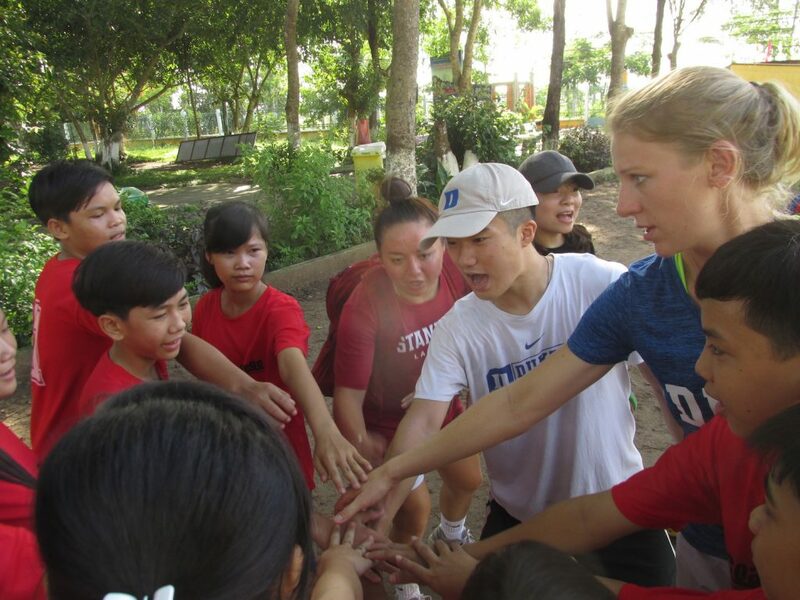 This helps prioritize fully enjoying the opportunity of being in Vietnam, and to be able to focus on deepening the relationships with the American and Vietnamese teammates that participants usually treasure by the end of the program. Participants frequently report that they find the break from being constantly connected refreshing. Bringing a laptop is optional. It will not be needed for the work carried out for the program. Students will be provided phones and local SIM cards for SMS and voice communication. The camp will have its own 25 passenger bus. The driver will stay with the group for the duration of the program. Everyone travels as a group on the bus between the guesthouse and the school where the camp is held, both in the morning and the afternoon (a 15 minute ride). The group uses the bus on the weekend trips as well. Participants regularly go on runs together in the local community, and meet up in the morning or evening in the guesthouse common area to train together, going through bodyweight exercise circuits. There is also room for creativity, such as squatting water cooler jugs or doing chin ups on a bar outside. Two gyms have opened recently in town, 0.8 and 1 mile from the group’s guesthouse. Neither has an erg machine, but participants have found both equipped to suit all their other weightlifting needs. Pictures and videos of each facility’s equipment are available upon request. The group’s service schedule is full, but dedicated participants can fit in a 30-60 minute exercise session daily. 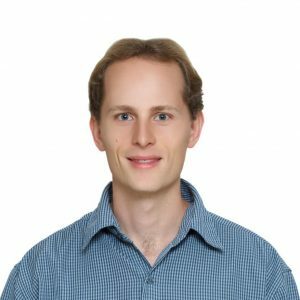 Wondering how you will spend your three weeks in Vietnam? Check out a Typical Weekly Schedule. Participants are encouraged to journal or blog. All meals are held together, and much sharing and processing happens informally at this time. Additionally, the participants meet two evenings per week for a relaxed group reflection time. Typical topics of discussion and reflection include differences between American and Vietnamese culture, how to serve as guests in a country humbly and ethically, how to effectively connect with children and deal with specific classroom challenges, the dynamics of living and working with people in a different culture, and what the experience of living in Vietnam and the relationships with the kids and Vietnamese college students are helping us notice about ourselves and the United States. 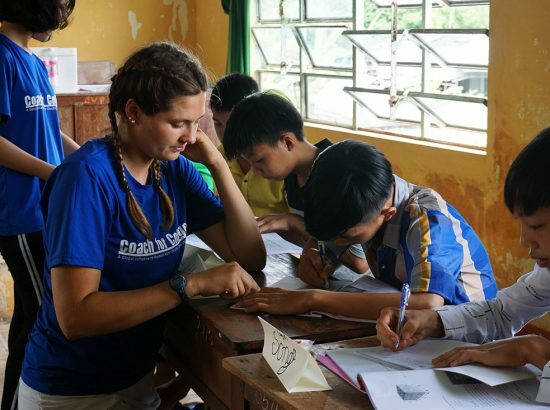 While focusing on service and long lasting positive results in the kids, the program is also designed to maximize the immersion of the participants in a fully Vietnamese context. 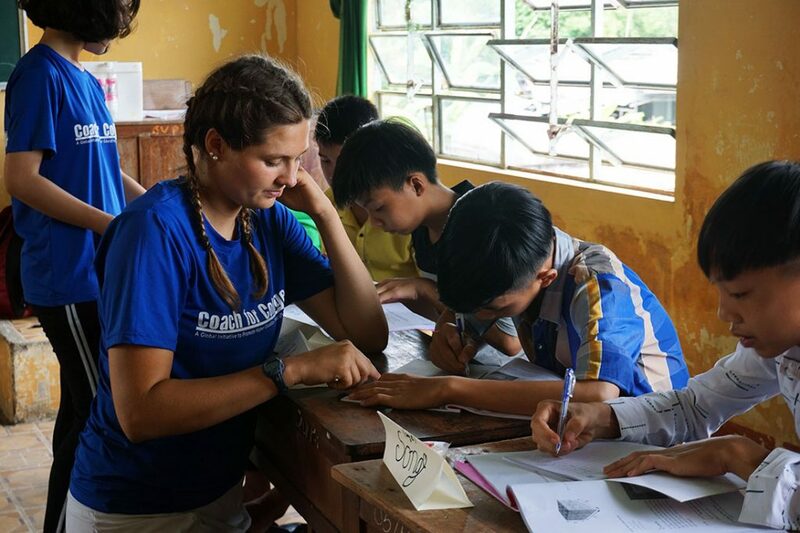 Living, eating, and working with Vietnamese college students, as well as spending the days closely involved with the kids, provide an invaluable opportunity to learn on a daily basis through these new friendships. In addition, participants will spend a day upon arrival touring Ho Chi Minh City, formerly known as Saigon. The largest city in the country, it is the buzzing economic hub of Vietnam. The group will visit a local produce market, the War Museum, some of the remaining French colonial buildings, and a handicrafts market, while trying their first phở, iced milk coffee, and fresh fruit smoothies. The group will also travel together on the two weekends during the camp, to cities in the southern region. 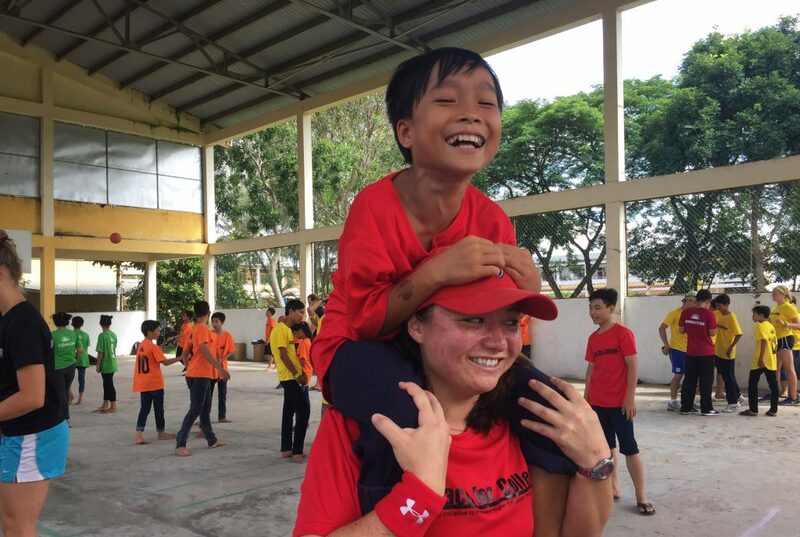 These weekend trips provide a chance to recharge, experience different aspects of Vietnamese life than those experienced at camp, and bond as a team. It is often possible to visit the home university of some of the Vietnamese participants. Another highlight that participants treasure, is a visit to one or two of the kids’ homes at the end of the program. Between dinner, journaling and lesson planning for the next day, a fair amount of time in the evenings is taken up. Walks into town for a snack or smoothie, or gathering for a game in a bedroom are common activities. On weekends, the team travels together and time is split between organized group activities to explore the city, and free time with various facilitated activities possible. To get a feel for what the experience is like, we recommend watching a few of the short video clips on the Coach for College website under Resources: . Of particular interest are the Student-Athlete Stories, Program Overview, and Camp Videos. 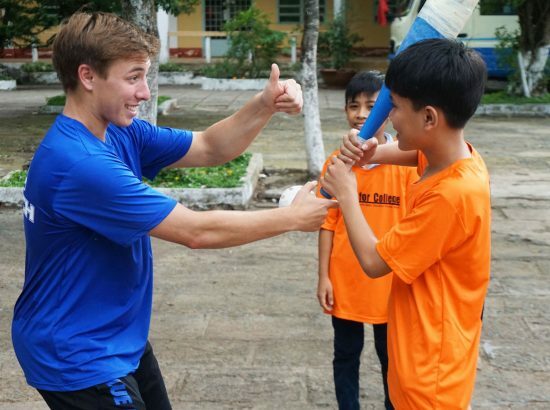 Coach for College has included varsity student-athletes from nearly every NCAA sport, and would be happy to put prospective applicants in touch with a former participant in order to ask any specific questions they may have related to training, or to gain a firsthand perspective on what teaching and living in Vietnam is like. The Vietnam War, the recently released documentary series by Ken Burns, is well done and helpful in grasping the complex, recent chapter of Vietnam’s history.